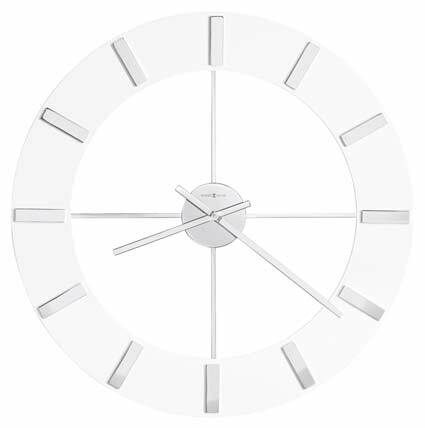 Howard Miller 625-596 Pearl wall clock is a Contemporary 30 inch wall clock featuring a highly polished White circular frame. 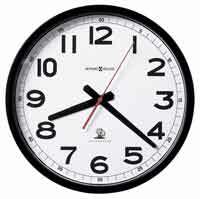 Most of the center of the clock is open to allow the color of your wall to appear from behind the clock. 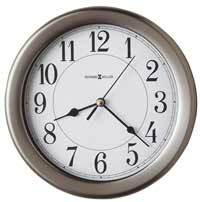 The center of the clock is polished chrome as well as the four cross supports that span from the middle to the frame. Polished Chrome, raised hour markers are applied to the polished white frame for contrast. The hour and minute hands are also chrome finished. 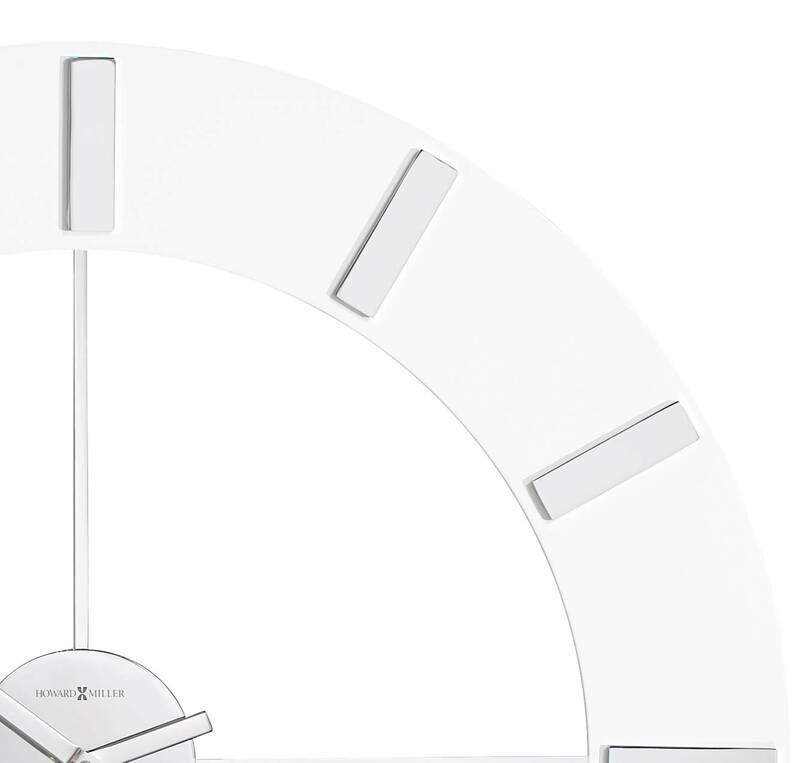 Quartz, battery-operated movement requires one AA sized battery. 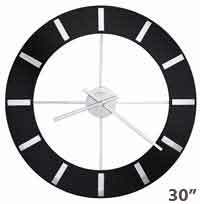 Clocks for sale at The Clock Depot including the 625-596 at discount prices.